Location: You are standing in the snowy field with electric poles. Accidentally some creature appears and tries to give you a drum. You are taking the drum and rolling the cigarette. Items: 1 self-made cigarette, a bottle of black beer, a counterwise turntable, remains of drum, automation filter, boots, log. Actions: Go north, listen jazz, wait the elevator. You see people: Extended Oleg Kovalchuk, Antonina Kotova with pixel brush, Eugene 'Litr' Radchenko with drastic guitar, Nataliya Kulishenko singing and drumming on 'Q'. 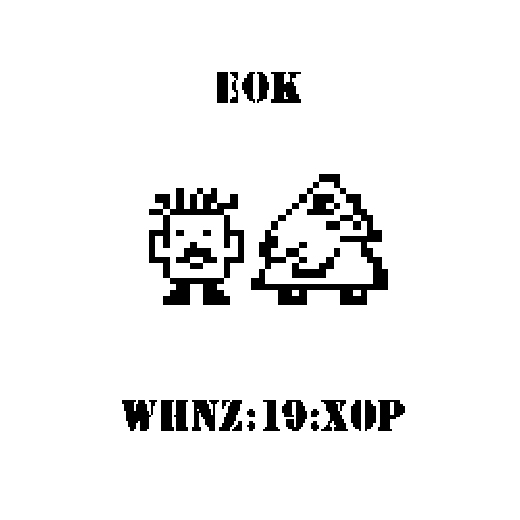 Eok (sometimes Eok_01) is an “extended” (E) version of Ok_01, solo venture of The Moglass’ Oleg Kovalchuk. These recordings were made few years ago, forgotten, found, enhanced, forgotten again, found again and at last digitally immortalized. Another part of these sessions available through Surreal Madrid release.